A thief-for-hire is sent on an assignment to steal an unknown package from a laboratory, only to have a crisis of conscience when he discovers upon arrival that the package is actually a superhuman little girl. 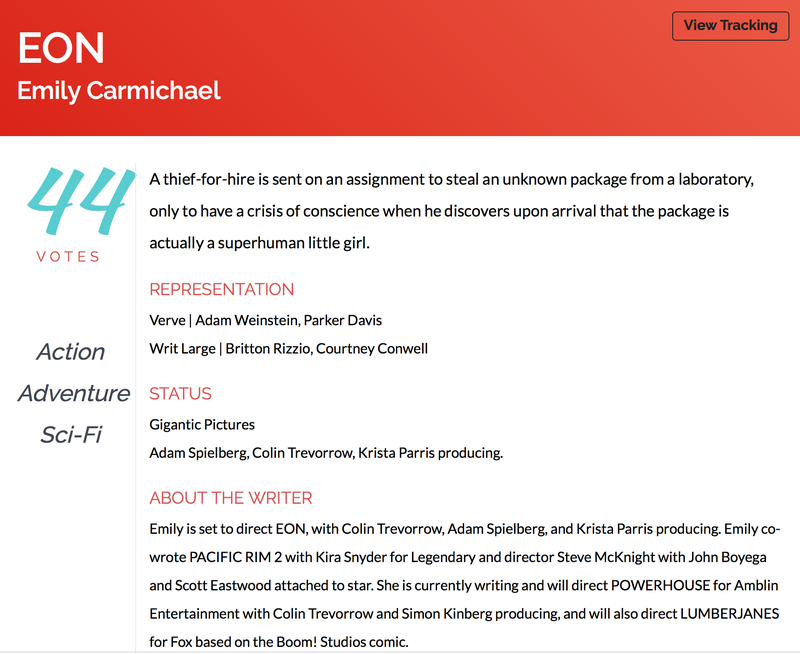 Emily is set to direct EON, with Colin Trevorrow, Adam Spielberg, and Krista Parris producing. Emily co-wrote PACIFIC RIM 2 with Kira Snyder for Legendary and director Steve DeKnight with John Boyega and Scott Eastwood attached to star. She is currently writing and will direct POWERHOUSE for Amblin Entertainment with Colin Trevorrow and Simon Kinberg producing, and will also direct LUMBERJANES for Fox based on the Boom! Studios comic.